Winter Wonderland reviews PR, A4E comms chief goes to TUI, InterSystems win for Whiteoaks and more from PRWeek UK. 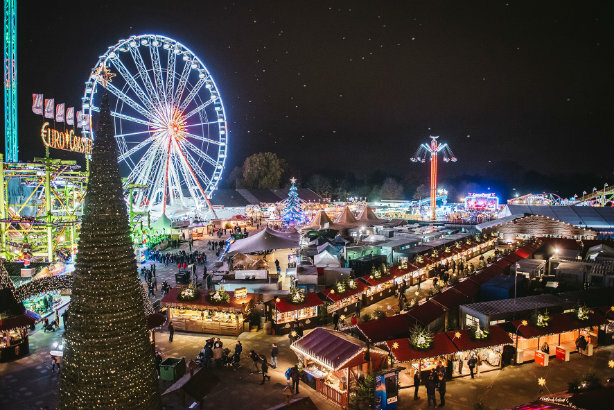 PWR Events is looking for a PR firm for the 2018/19 Hyde Park Winter Wonderland event, with a budget of around £30,000 available for a campaign that will run from August until January 2019. The process is being managed by consumer marketing director Joanna Woodley, with applications open until 14 March. Current incumbent Plus 1 will be invited to participate. PWR, which is owned by IMG, was recently awarded the brief to continue producing the event until Christmas 2024. Aage Duenhaupt, who has been comms director at Brussels trade body Airlines for Europe (A4E) since it launched in 2016, is moving to holiday company TUI. He will become head of comms and PR for TUI Airlines and director of comms for TUIfly in Germany. His successor is Jennifer Janzen, a US native who was most recently a campaign lead for airline grouping Star Alliance, having previously worked for Lufthansa. The IT platforms provider InterSystems has appointed The Whiteoaks Consultancy to launch a new data platform to the financial services market. Jonny Silver, latterly head of comms for Bauer Media's radio division, has joined social media publisher The Hook in the same roles. The Facebook-based brand was launched in 2014 and launched branded division The Hook Labs last year. Australian health-tech company dorsaVi has hired Well Hello to a UK consumer PR brief. Initially the agency will focus on the company’s ViMove2, which uses wearable sensor technology to help healthcare professionals assess, manage and treat patients. Emily Murphy-Wearmouth, latterly a freelancer who has worked for FleishmanHillard Fishburn, Babel PR and Octopus, has joined PR learning company Henshall Centre as director.